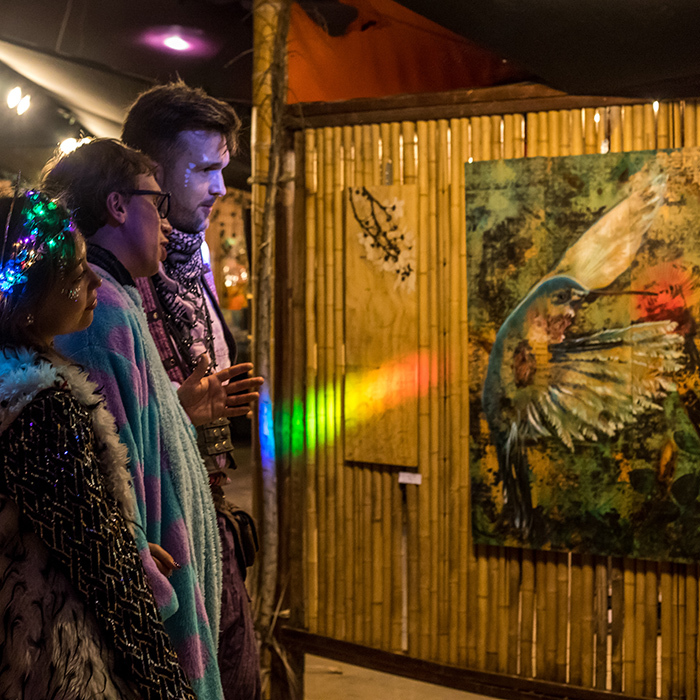 Come inside and bask in the many visions of your unique experience, expressively transmitted through the keen emotional architects and archaeologists curated within. Each artist has dug deeply into their powers of perception and the resulting work selflessly will aid us all in accessing ourselves for no cost but a gaze. Branches also asks that you dig deep, as well, when viewing the works within and trust your own ability to perceive a new perspective through your personal connection with these enlightened visions. Please remember to support the artists as you can in return with an open heart, a kind exchange and something to take home. All mediums are welcomed in our curative focus, from paintings to sculpture, low relief to high relief, interactive to conceptual. The creative techniques you’ll find will range from skills used and honed in the most ancient of times to those that kinetically exist on the very edge of now.